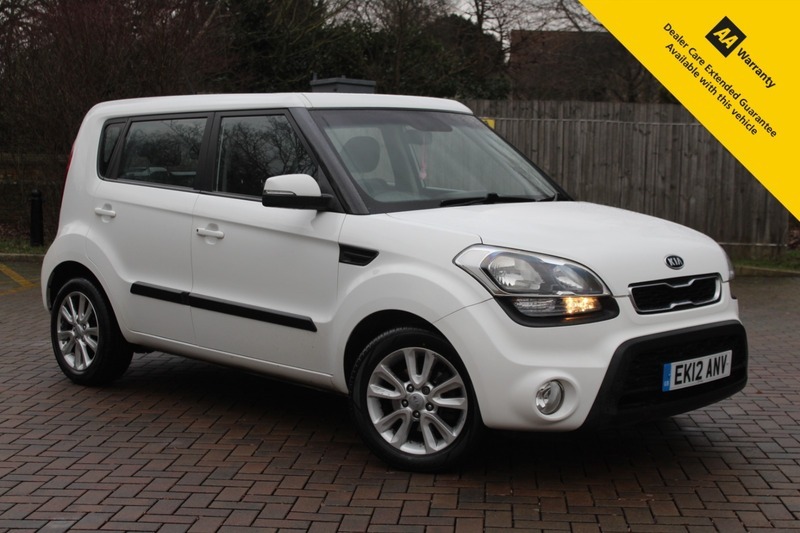 Here for sale at Leigh Cars Ltd we are delighted to present this impressive LOW MILEAGE Kia Soul 2 CRDi Automatic. This beautiful 2 owner example has a SUPERB FULLY STAMPED SERVICE HISTORY - SERVICED BY US FEB 2019. It also comes with a BRAND NEW ADVISORY FREE MOT until Feb 2020 and we have also put 2 NEW FRONT TYRES ON AS PART OF OUR PREPARATION STANDARDS - This car is ready to go home to its lucky new owner. This fine example is finished in the popular white paint and is in great condition inside and out. It comes with some great specification such as central locking, air conditioning, electric windows + mirrors, rear parking aid, alloys + much much more. This car is perfect for a growing family or maybe someone looking for a fantastic low mileage spacious automatic hatch with an abundance of specification and impressive ride height. This car will only cost £195 per year to tax and will return you an average of 47.9mpg, so is nice and economical to run for a bigger automatic hatch vehicle. it truly is a SUPERB DRIVE and we would strongly recommend a test drive, so what are you waiting for? BOOK YOUR TEST DRIVE IN TODAY!